When foreign correspondent, Peter Greste was arrested in Cairo while working for Al Jazeera as a journalist, his letters smuggled from prison helped launch a global campaign that eventually saw him and his two colleagues released after more than a year in prison. 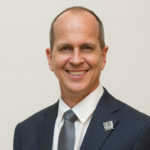 In this talk Peter Greste provides a backdrop to the increasing violence and antagonism towards journalists and offers a passionate argument for press freedom everywhere. Peter Greste is an award-winning foreign correspondent who spent 25 years working for the BBC, Reuters, CNN and Al Jazeera in some of the world’s most volatile places. From Afghanistan, to Latin American, Africa and the Middle East, he has reported from the frontlines and beyond. He is best known for becoming a headline himself, when he and two of his colleagues were arrested in Cairo while working for Al Jazeera, and charged with terrorism offences. In letters smuggled from prison, he described the arrests as an attack on media freedom. The letters helped launch a global campaign that eventually got them released after more than 400 days in prison. His stance helped earn him awards from the Royal Television Society, the Walkley Foundation, the RSL, the Australian Human Rights Commission and the International Association of Press Clubs. Since his release, Peter has continued to campaign for press freedom everywhere. He now lives in Sydney, working as a freelance journalist.